The other evening, out of interest, I clicked the dreaded 'add to basket' button in my ASOS wishlist. And found the total came to £463.99. I have done nearly £500 of window shopping. And to be honest, that's just one (albeit the best- not a sponsored post I promise), online store. Let's not talk about Topshop and Boohoo and *gasps* Net a Porter, the elite online shop. If you're shopping at Net a Porter, you're doing life right. They wrap up your purchases in a black box with a bow. I know. Sadly, until I reach the life goal of comfortably shopping in Waitrose, Net-a-porter is out of the question. 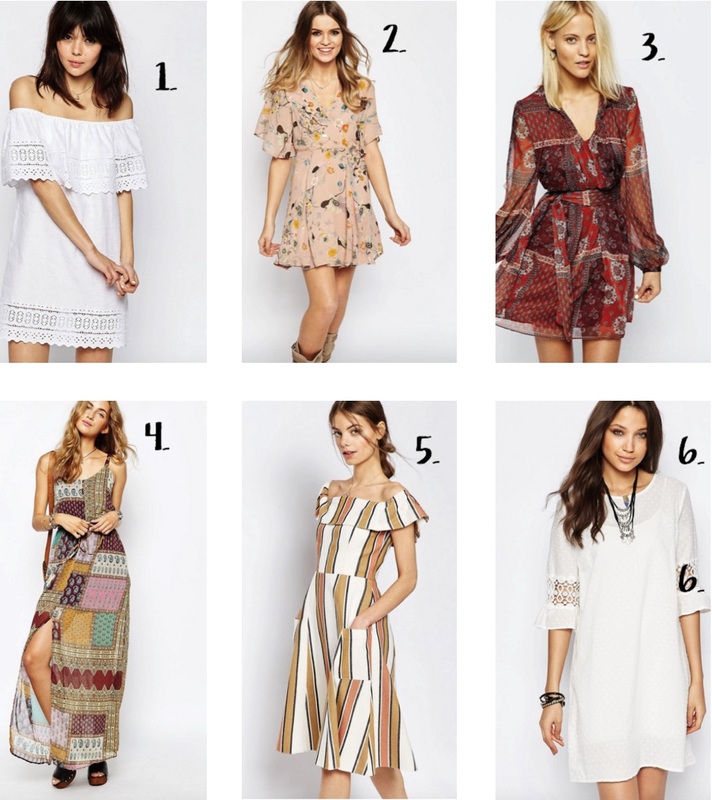 But I've decided to share with you a few bits from what's in my ASOS Spring Wishlist, because I love having a nose at others as a way of finding things for my own wardrobe. Apologies for the repeated 6, it magically appeared when I uploaded this collage and the process of removing it is FOREVER. 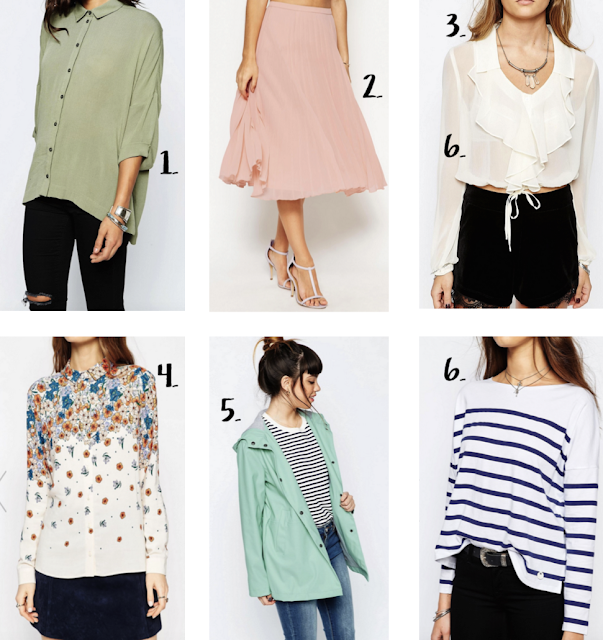 The dresses above are a bit of a mixture, but I mostly feel like they're spring occassion-y type dresses. Like Easter celebrations or family spring reunions. I'm not sure if it's necessary to even come up with a reason. Number 5 is a particular fave. The last collection I wanted to include even though there's a bit of everything. I've been loving breton style tops for the past 6 months or so, they're very very Kate Middleton. This is just a little insight into all of the bits I pine over whilst trying to procrastinate! I hope you've all had wonderful Easter weekends and are feeling suitably full of chocolate and eggs and all things terrible for you! Does anything on the list catch your eye?